Integrated labels are used extensively in the transport and logistics industry. In addition, integrated form labels are used for healthcare, fullfillment, and mail order forms. 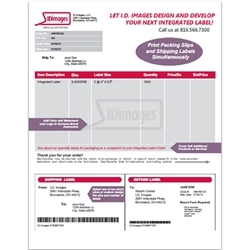 Integrated label forms are ideal for multi-function applications including: pick/pack lists, warehousing/inventory, return merchandise, prescriptions, and return address labels because of their unique peel out labels. I.D. Images offers a selection of competitively priced stock integrated labels. In addition to our stock materials and dimensions, we offer extensive custom integrated label capabilities to satisfy your unique applications. Our integrated forms are compatible with inkjet and laser printers, but if needed, we can offer thermal forms compatible with thermal printers. 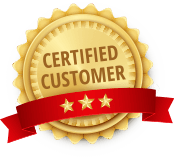 what are Customers saying about i.d. images? To learn more about integrated labels before ordering, read our article. You can also read our previous article. Our integrated labels work on any standard laser or inkjet printer. Contact us today at 866.516.7300 to get started on your order.